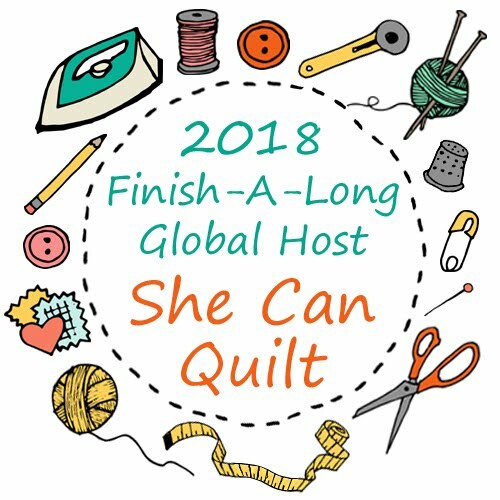 she can quilt: A beautiful bundle for SMS Giveaway Day! It's Sew Mama Sew's Giveaway Day (which is almost a week)! So I bought one of the remaining October bundles from Fabric Spark's Month Sparks fabric club to give away to one of you. I curated this wonderful bundle and it was so fun to work with. There are fabrics there from many of my favourite designers. I used my own set of these fabrics to make Imp, and if you like you can read more about her here. I am very proud of this quilt, she makes me smile and smile. To enter this giveaway, just leave me a comment here or on the instagram photo in my feed of this giveaway (@shecanquilt), or both. In your comment here, let me know what books or movies you would recommend to me for the holidays. If you are a follower and want an extra entry, leave me a second comment here letting me know how you follow this blog. 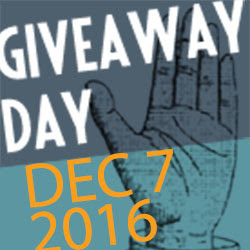 This giveaway is open to anyone in the world, and will close at 6 pm MST (5 pm PST) Sunday, December 11, 2016. The winner will be drawn randomly from all the comments here and on instagram. Also, I will read all your comments and appreciate any suggestions you share but I don't usually have time to reply to all comments on give aways. Isn't it the best bundle! Good luck. I would not usually be drawn to this color grouping but the way you put it together is stunning! Thanks for expanding my color horizon. I love "White Christmas" and "Holiday Inn" two great classic Christmas movies. "Christmas in Connecticut" is pretty great as well! Love your style and love this bundle! These would fill in the orange gaps in my stash! It isn't Christmas officially until 'It's a Wonderful Life' has been watched IMO!! Thank you for the giveaway! I follow via IG and bloglovin! White Christmas is our family's favorite. My husband and I saw Fantastic Beasts and Where to Find Them, last weekend. We enjoyed the movie and thought the acting and animation were excellent. Hope you and your family enjoy the holidays. Thanks for the chance to win the fabric. I love Elf as a Christmas movie! I am in love with this bundle! I like to watch The Christmas Story every year. I did movies on your IG so here is my books.... there is a new Patricia Cromwell book out Chaos that I can't wait to read! I can't say how much I love orange! 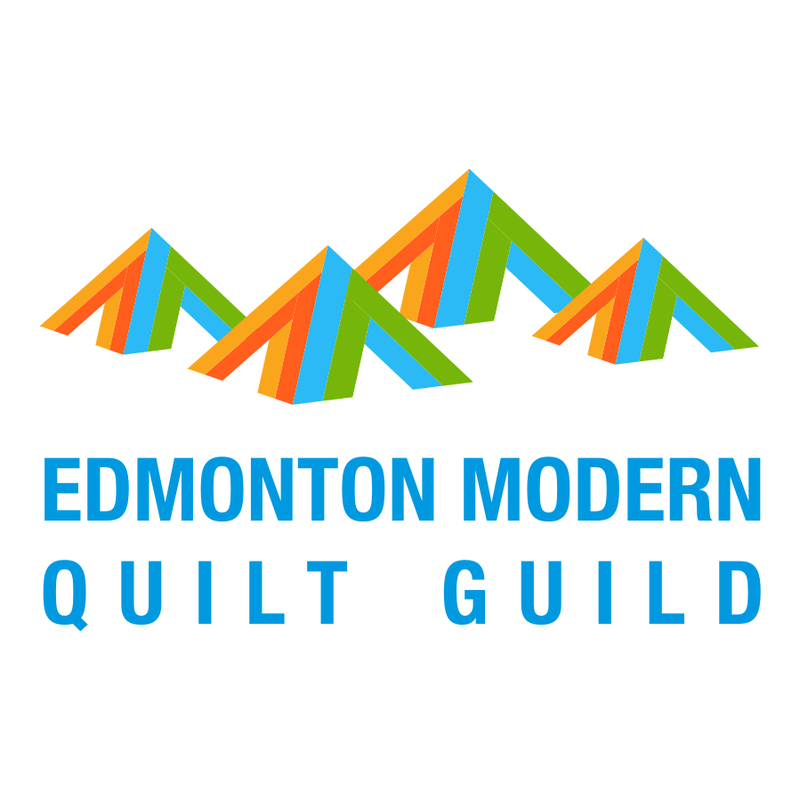 I try to use it in every quilt. This line makes it much more fun to do that! The panda's are so cute adds a nice touch. What a great giveaway. Thanks for sharing! I like to watch. "It's a Wonderful Life" to remind me of how we all influence one another.... and that we all matter. Happy Holidays to you. My husband discovered Halmark, Lifetime and more recently, Up. He gets hooked at Christmas and will watch the sappy Christmas shows and cry into the wee hours which is not his usual habit as he in normally an early to bed early to rise kind of guy. Your bundle is a knock out. Thanks! I follow your blog and IG, and have to say I'm a super-huge fan <3 !!!!! And I follow your blog through Instagram. It's a Wonderful Life-watch it every year! How about re-reading (or reading for the first time?) all the Harry Potter books (or watching all the films) - that'll keep you out of mischief! And I'd recommend the start of The Seven Sisters trilogy by Lucinda Riley -the first three are out and I'm hoping to get the third one for Christmas! I am a following a really like these fabrics!!! I have been enjoying The Crown on Netflix. Thanks for a chance to win. It is a really beautiful group of fabric. Your quilt is gorgeous!!! Love it!! I watch all the Christmas movies!! I follow you via Bloglovin, thanks!! The kids are now grown and gone but we always read The Polar Express book. Now I still read it. I love watching "Its A Wonderful Life" and "The Christmas Postcard"
I love the quilt you made with your bundle! A really sweet film I've watched recently is esio trot. It's a very gentle, sweetly romantic story. Elf is a great movie to watch!! My favorite Christmas shows are the Charlie Brown ones. They are actually the only ones I watch I am ashamed to say. I just don't watch tv and I don't read Christmas books. Dreamland is a great non-fiction book, if you want something serious. An older movie but a goodie - Love Actually. I follow you by email. Thanks for the chance! Thanks for this great giveaway. I don't think I have any orange in my stash, this would be a great addition. White Christmas is my movie, can't miss it. Thank you for your generous giveaway. Although this is not a Christmas book, I love anything written by James Patterson and he has a new book that just came out in the Alex Cross series. These are awesome books if you like mystery and murder. The fabrics you choose are great, Thank you for the opportunity! I love that the bundle doesn't scream Halloween! One of my favorite holiday movies is Love Actually. Not a Christmas themed story but I have loved the Poldark series of books by Winston Graham. The PBS seasons based on the books is also a great watch. Love the fabric colors and patterns! My favorite Christmas movie is "love actually" I watch it every year! I love all the Hallmark holiday movies and watch them over and over. Just read the last of Earlene Fowler's quilt mystery series abut heroine Benni Harper. Hope she continues to write more of them. The best film I've seen in years is "Intouchables", a French film about people meeting their challenges. It's full of humour, and yet the subject is deep social criticism. I could watch it any day of the year, but it's not suitable for young children. Not that it's an "adult movie"! ; the subject matter is too heavy for young children to understand. I follow your blog by GFC. what an interesting color group - not one that I have worked much with- your winner will love its modern look. Love this fabric! The Grinch that Stole Christmas, or Elf are fun movies during the holidays. Depending on who is watching, Die Hard, it's a Wonderful Life, white Christmas, and Stone Family Christmas. I love that you are giving away a bundle that you curated. And seeing how you used the bundle for Imp is also inspiring! We love Home Alone 2 at our house! Thank you for the generous giveaway. National Lampoon's Christmas Vacation and Scrooged are our go-to favorite Christmas movies.We are catching up on missed shows on Netflix and are getting alot of laughs out of The Grinder. Our favorite holiday movie is Christmas Vacation. It always creates laughter and makes my family feel "normal" in comparison. This fabric collection is so pretty! I liked the new J.K. Rowling movie. I am a happy Bloglovin and IG follower of yours! Yes, I love your bundle of fabrics. I love all of the really old Christmas cartoons. Especially Rudolf. Thanks for the opportunity. Leanne, for the holidays I love to watch old favorites! I would recommend It's a Wonderful Life, Miracle on 34th Street, A Toy Story, and because I am a huge Denzel Washington fan, The Peacher's Wife with him and Whitney Houston! I follow you your blog through Bloglovin'. Try the Louise Penny mysteries if you'd like a good series of books. I follow you on Bloglovin. Love your bundle! I am a fairly recent lover of all shades of orange. 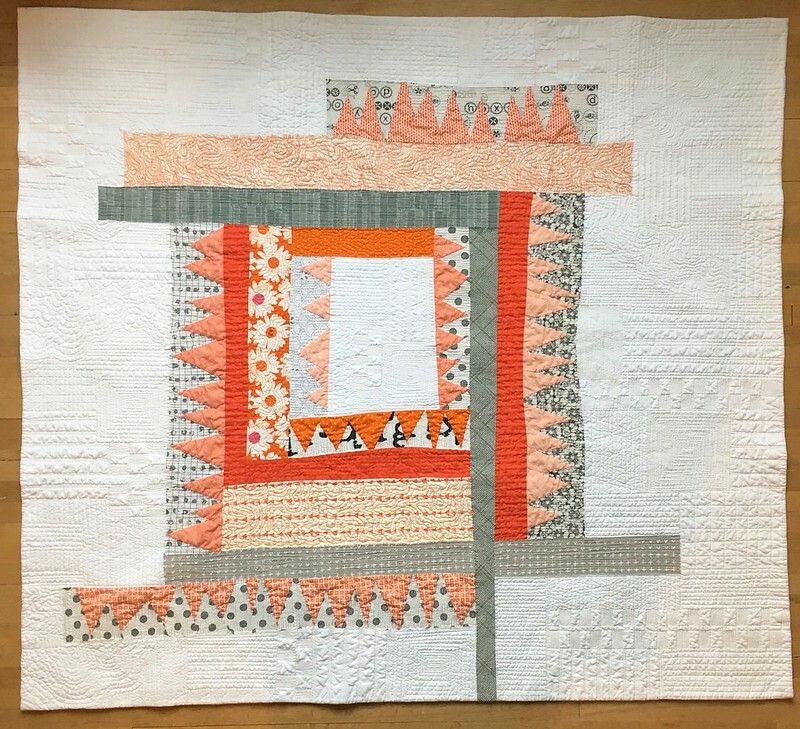 When I first starting quilting I really disliked orange. It's funny how we change as time goes by. I follow you with Bloglovin. I follow you now on Instagram! Not sure if you like murder mysteries, but the books by Louise Penny are marvelous. Rich, beautiful and human. The protagonist, Armand Gamache and his wife Reine-Marie are people that I would love to have in my social circle. I especially love to listen to these books while sewing. I'd love to win this fabric bundle... love the orange! One of the movies I like to watch is August Rush. The ending always warms my heart and I love the music in it. I love the selections in that bundle. Nice balance! Thank you for the giveaway. What a refreshing looking bundle. Thanks for the chance to win. I recommend any book by Lisa Shearin. She blends fantasy with romance and action and humour. Her characters are so well written you feel like you know them personally. I'm a huge white Christmas fan for holiday movies. I love singing along to White Christmas. I hope all is well in Alberta. Please watch Love Actually and Christmas Vacation this holiday season. Happy holidays to you and your family! I like to watch White Christmas each year. Great bundle! Gorgeous bundle! Since you already have a lot of Christmas-themed suggestions, I,m going to throw in some of my timeless favorites - Pride and Prejudice (version with Greer Garson as Elizabeth), palm Beach Story, and My Man Godfrey. Happy holidays to you! Been following you on Bloglovin for quite some time. I love your quilts! I have 2 books that I have recommended. both are YA books but appeal to all ages. I love books told from a child or teenager perspective, they really make me think. Love, love the colors & patterns in this bundle---thnx for introducing them to me & for the great giveaway!! One of our favorite movies so far this season has been Hacksaw Ridge. It's not an easy movie to "stomach", but it's such an amazing story of integrity & conviction! We loved it! So pretty! My focus in books has been ya lit lately. I just read Island of the Blue Dolphins for the first time and enjoyed it. I always remember hearing about it, but never read it before for some reason. My kids also really like the Sisters Grimm series. A Christmas Story and Emmet Otter's Jug-Band Christmas are two of my favorites to watch. My favorite Christmas movie is "3 Haselnüsse für Aschenbrödel". It's the story of Cinderella. I love the movie and it's a must-have. Maybe it's been translated to English. Love those colors! My favorite holiday movie I watch every year is the original Die Hard...so I would have to recommend that as a refreshing change up from typical holiday movies! A Christmas Story - a classic that has me crying tears of laughter every year! Albert Finney as Scrooge. Classic! Orange is a favorite color of mine, so I love this collection. As for Christmas movies, I enjoy the funny ones like Tim Allen's "Santa Clause"
Books: David sedaris, "holidays on ice"
If you're looking for holiday themed books and movies, I can't really offer any help. But if you have some downtime and just want to read an entertaining book then I recommend "In a Sunburned Country" by Bill Bryson. 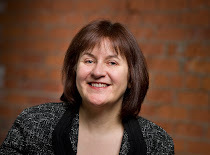 I have also read and enjoyed several novels by Heather Gudenkauf. Your bundle and your quilt are GORGEOUS! I watch Home Alone every year. I like to read all John Grisham books. Love the bundle. Thanks for the giveaway. We watch Elf every year! That is a beautiful bundle of fabric! Thanks for the giveaway! I just finished reading The Christmas Pearl by Dorothea Benton Frank. It's a quick and sweet story! Every year It's a Winderful Life is a must see for me. I also love Scrooges with Bill Murray and Jim Carey's Grinch. I have your blog in a gadget on my blog sidebar. Whenever you post it bubbles up to the top of my list. I listen to a lot of books on tape because I can sew (or cook, or work out, or drive). Enjoying "The Historian" by Elizabeth Kostova now (academic suspense, with vampires). I follow you on Instagram and I enjoyed watching your progress on your quilt, I love these colors! You've Got Mail is a good early holiday movie, white Christmas on Christmas Day is a favorite tradition for us. I am reading a good one now - Lost December. This year I am reading Tolkien's letters from Father Christmas and really enjoying them. One of my favorite color combinations! It is not a holiday without hours of Masterpiece Theatre. Just about any of the programs will do. Thanks for the giveaway! What a great bundle. I'm reading Kate Atkinson's Case Studies at the moment and just finished the most recent Maise Dobbs mystery. Obviously, not very Christmassy, but I've enjoyed them so far! Thanks for the great giveaway! My go to movie for the Holiday season has always been The Ten Commandments. My husband bought me a DVD a few years ago for Christmas and oh my the vivid colors and better picture is so worth it! 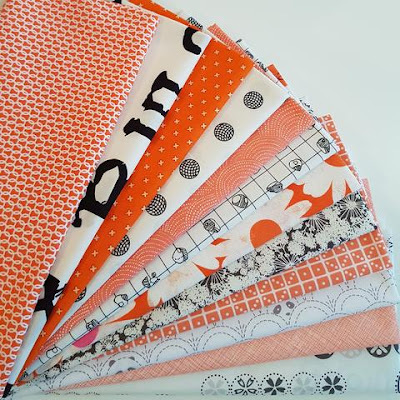 I love the fabric bundle you have chosen for your give away! They are absolutely fabulous and I would love to win them and help fill up my depleting oranges! The quilt that you created is really charming and it does make me smile! Thank you for sharing and for the opportunity to win the great give away! Have a fantastic creative day! After looking around your blog and seeing what the Scraptastic Tuesday was all about; I did not hesitate to sign up for an email subscription! It sounds like a lot of fun and I can always use help with my scraps! I absolutely love your fabric bundle and really hope that I win! I don't watch too many movies anymore but It's a Wonderful Life is a good one. The colors are wonderful! I have a friend with MS- she has a cycling team & we bike and raise $$ for a cure..... It gets more difficult to raise $$, so I make items to "sell" for donations. Since orange/ black are the MS colors, I would love this combination to make a quilt for bidding. I listen to music while sewing- and right now it's all the 'oldie' artists: Bing Crosby, Frank Sinatra, Christy Minstrals,Gene Autrey, Burl Ives to name a few..... too many to name! I love those brightly colored fabrics. So happy and cheery! Any of the Elm Creek Quilt books would be great reading while cuddled under a quilt this holiday season. Might I suggest a nice cinnamon tea to go with it! Crazy pretty bundle. Love the combo of orange and gray. I love The Christmas Box as my holiday read every year. That or The Alchemest or The Prophet as great ends to the year or start of the new year. Christmas in Connecticut, Holiday Inn or White Christmas are the movies we love to watch every year. Thank you for the giveaway. I recommend The Shop Around the Corner. It's an old movie, but very good. I also like It's a Wonderful Life, but probably half your commenters will mention that one. I love the look of that bundle. Gorgeous colour. I'd recommend 'Sapphire Skies' by Belinda Alexandra - or any of her books. HI, The Christmas Box" is good! Thanks for a sweet Giveaway! I recommend watching The Crown on Netflix! Thanks for the chance to win! I love it when authors have Christmas stories. Like Richard Paul Evans, Agatha Cristie, Mary Higgins Clark. Would love to try to make a quilt with this bundle. Not a Christmas movie, but the sound track will make your day... watch sing street! For a Christmas movie, Love Actually, but just for a really great laugh with tons of great lines, Crazy People with Dudley Moore, Paul Reiser and Daryl Hannah. The classics are always good and any of the hallmart moviec. I always like to watch National Lampoon's Christmas Vacation. It makes me laugh every time. I also like Elf. I follow you by email. Thanks! Orange is my favourite color. I LOVE your quilt. Who wouldn't want this gorgeous bundle! Great choices of fabric. "A Christmas Story", a must read around here every year. Love your quilt!!! I hope that you read my comment so that you will know how much I admire your IMP. She IS a beautiful fun piece. You've used some sterling fabrics to construct her, and I would be thrilled to emulate what you have created!!! I love everything about her, design, movement and ORANGE! For the holiday try to grab a viewing of a movie that came out in the year 2014 (I think). It's called A NEW YORK WINTERS TALE, starring Colin Farrell. He is splendid - the movie is magical and I endorse it 100%!!! Happy happy holidays. What a yummy bundle!! A lot of the books and movies have already been mentioned. I do have some other authors you might want to check out. Robert Crais, the Elvis Cole series and I'm also reading the series by JD Robb (Nora Roberts) the Eve Dallas series. white Christmas or a Wonderful life! love those movies!!! PS I love your choice of fabrics! I love working on Halloween quilts! It's not a holiday book, but the beginning of a phenomenally beautiful and well-written series is "Still Life" by Louise Penny. They are mysteries, but so much more--all of life's complexities and promise is in there, I give you my word. I follow you via email, wordygirl at earthlink dot net. I would recommend "The Nightingale" by Kristin Hannah. I also enjoy the detective series by Louise Penny. Great bundle. Happy Holidays! The color grouping of the fabric bundle are grand. 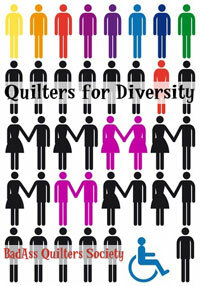 I am not a contemporary quilter but I would try after seeing your quilt. It contains all the traditional piecing yet with a flair! I can do it! I loved the two book series The Unlikely Pilgrimage of Harold Frye and The Love Song of Miss Queenie Hennessey by Rachel Joyce. I love that quilt of yours! Love these fabrics! I just finished reading 'Inheriting Edith' by Zoe Fishman--lovely story. I follow on my sidebar and also with Bloglovin'! I recommend any book by Rosamunde Pilcher, love them all! Thank you for this lovely giveaway; what a pretty bundle! Yes, it is a great bundle. I already have a few of the prints (the large letters, for one) and would love to win the others. I follow you on Bloglovin but read all of your emails by email sign-up. I always enjoy your blog. Lovely fabrics. I would suggest you read the Series The Queen of the Tearling, Invasion of the Tearlig and the Fate of the Tearling (which just came out).